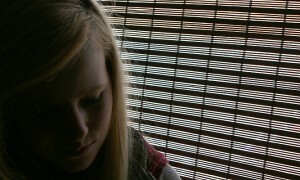 Who says blinds & curtains are only meant for the interior of your home? Blinds and curtains aren’t just for the living areas inside your home. 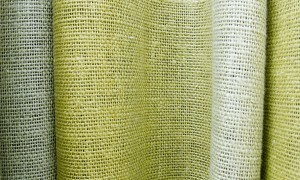 Places like garages, outdoor patios and porches can also benefit from having window treatments. Curtains, valances or faux wood blinds can help give these spaces definition, and a feeling of being finished. Here are some ideas to consider when putting treatments in some of these unexpected areas. It seems everyone uses their garage for different things beyond simply parking their cars. They can be workstations, a playroom for the kids or an honest-to-goodness extra living space. If your garage is a storage space bursting at the seams with “stuff,” it’s not a lost cause. Get the garage organized and cleaned up, and you could find a hidden gem of a functional space, ready for design details like window treatments. If your garage space is a workstation full of tools and benches and half-finished projects, with a lot of sawdust or dirt and grime flying around at any given time, it’s probably not the best idea to hang fabric curtains in the vicinity. They will get dirty in a hurry, and they’re much more difficult to clean than mini blinds or faux wood blinds. 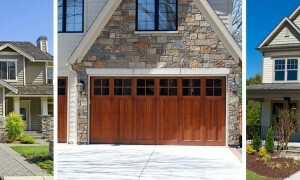 Putting up mini blinds or faux wood blinds will give you a sense of privacy and also give the garage that finished look. Adding blinds can also help keep out harsh sunlight, and help to keep the garage cooler in the warm months and warmer in the cold, perhaps increasing productivity in your workspace. If your garage doubles as a kids’ playroom, cordless blinds or window shades are a great way to ensure your children and their friends can play in privacy, while keeping them safe from dangling cords. For a garage that is a fully functioning extra living space, curtains come into play. Adding a valance atop faux wood blinds gives these extra living spaces the same warm, comforting feel you have inside the home. Treat these garage living spaces like a second living room. Adding curtains, shades or blinds to outdoor living spaces like patios and porches can be a great way to add style, but it can also be tricky. Curtains need to be covered year-round: Any direct rain or weather will ruin them in short order. However, if you have a covered patio that has an overhang to protect your curtains, these can be great in adding some color and some privacy. They also create an elegant look when they flow in the breeze. When you put your curtains up in your outdoor living space, make sure your choice is mold- and mildew-resistant. In colder climates, you will also want to take them down in the winter, and launder them before putting them back up in the spring. Faux wood blinds or retractable shades are the way to go if you have windows in your outdoor living area, such as a screened-in or three-season porch. Using real wood blinds won’t work due to the natural moisture of the outdoors, and mini blinds won’t last through even the faintest of windstorms or weather changes. 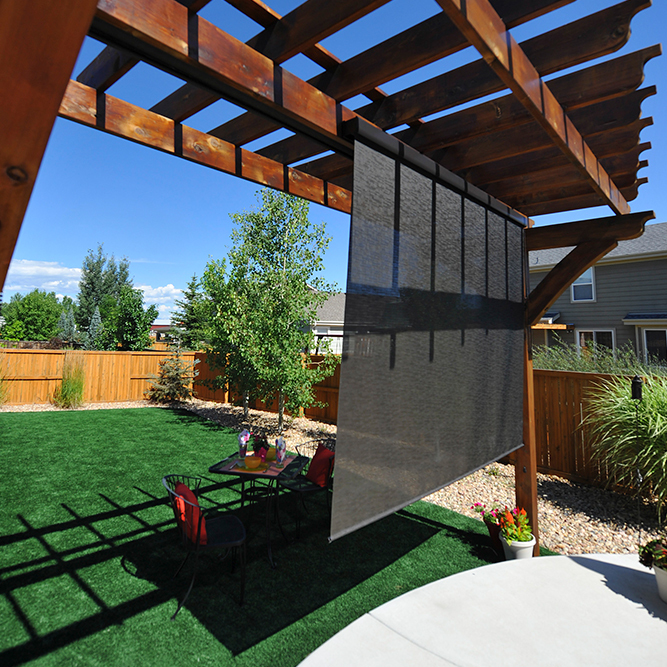 When it comes to shade outside, porch or patio enclosure shades that roll up and down, either through a remote control system or a pulley, are a great bet. These provide continuous shade and protect your outdoor furniture from fading and being damaged by the elements. When adding design features to you home, don’t stop at the front door. 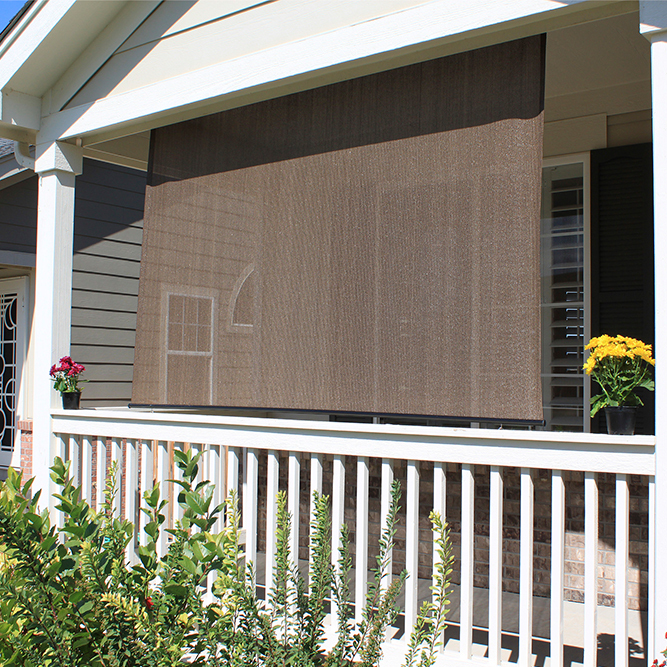 Take functional and stylish elements like window treatments outside, and extend your home’s comfort and livability. Katie Laird is the Director of Social Marketing for Blinds.com and a frequent public speaker on Social Media Marketing, Social Customer Care and profitable company culture. An active blogger and early social technology adopter, you can find her online as ‘happykatie’ sharing home décor, yoga, parenting and vegetarian cooking tips. To see options for defining living spaces outdoors at your home, you can see a wide variety of blinds and shades on Blinds.com.